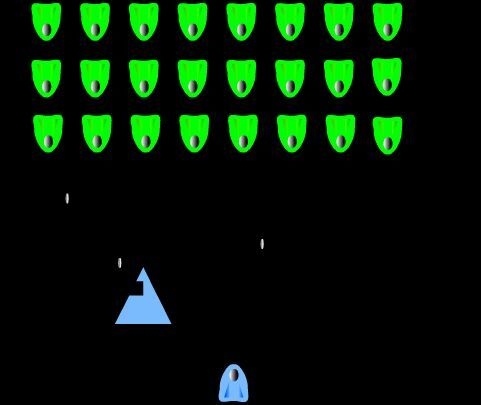 HollettGaming are in the process of developing another new game, this time a retro style Space Invaders clone. The game will be partly influenced by the classic Galaga Deluxe created on the Amiga some years back. Expect some alien blasting action with power ups and shields, the following picture is a super early development version, but you can now try this game out in the members section to get a taste of the game! Click here to sign in or register and try it out now!